This week, while I was testing this gorgeous, sticky, quick jam recipe, I picked a lot from the bushes in the alley behind the home of a neighbor who'd lived there for 50 years. She passed away and her house just sold, but the raspberries make me think of her. I took my fragile berries home and made jam, which may or may not have a little nutritious spiderweb in it. And that got me thinking about the seasonality of Alaska cooking. Berries are central to subsistence life and the act of picking them connects one generation to another. Jam is also one of the oldest sweet treats available in our early kitchens, treasured over winter months. There's something about it that captures a season in a jar, you know? August. A little rain. The geese starting to practice in the morning. That old raspberry bush winding into the alley. 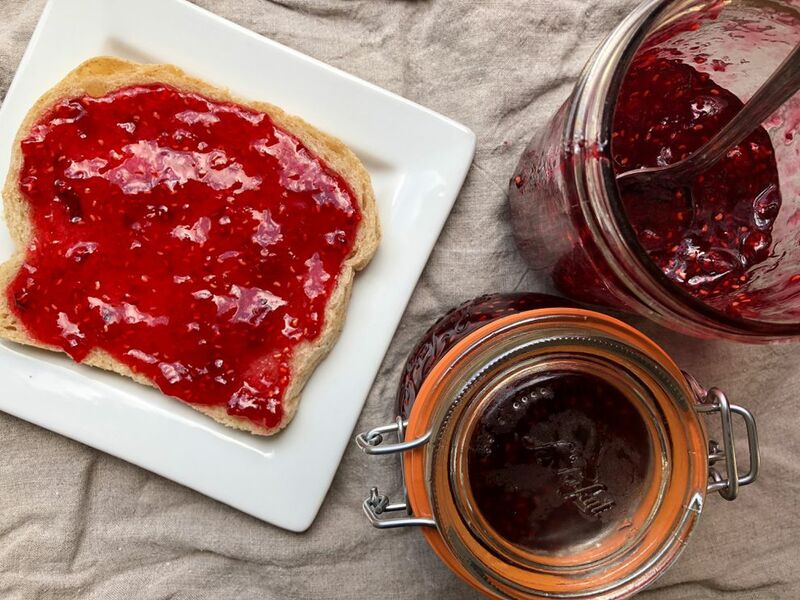 My recipe is a simple as possible, easy on the sugar, with a little of that nostalgic, freezer-jam quality like the jam I love at Snow City Cafe. Maya Wilson is thinking about berries too. She's got a beautiful bourbon-blueberry ribs recipe that couldn't be more perfect for August in Alaska. 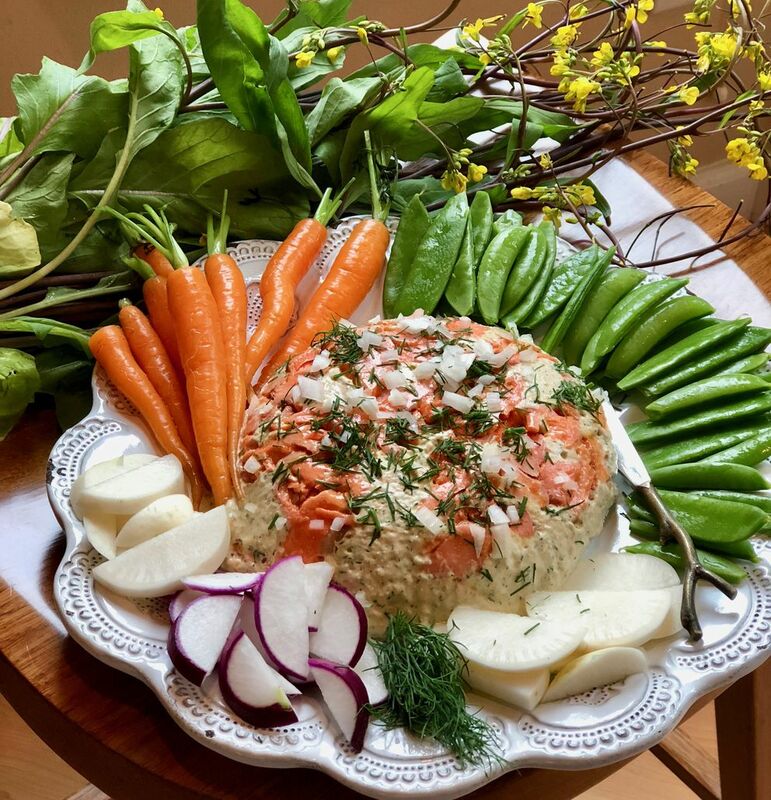 We're also lucky to a have a new recipe this week from Kim Sunée for a retro-feeling layered salmon dip that uses a combination of leftover grilled salmon and smoked. In the markets this weekend, Steve Edwards says to scope out romanesco cauliflower (or is it broccoli?) and get yourself some of our sweet Alaska carrots. Oh, and end-of-summer camp cooks, you might be into this list of Alaska-tested camp recipes that reporter Tegan Hanlon collected. Outdoor columnist Vicky Ho's backcountry carbonara for the win! You're always welcome to test recipes with me. Join my test kitchen Facebook group! Here's hoping your toast this morning has local jam on it. Thanks for reading.